Possible conversion from: PST, EDB, OST, & MBOX. Possible conversion into: PST, MSG, PD, EML, & HTML. Support Batch Mode to Convert Email files at once. MS Outlook Installation while emails conversion Not Required. For Customized Conversion, Multiple Filters are available. The mail converter tool provides an option to convert Outlook data items to desired output email application file format. Users are free to convert emails, contacts, calendars, tasks, notes etc. of both ANSI & Unicode MS Outlook of any version like 2000, 2003, 2007, 2010 and 2013. The email migration software provides an option of converting entire email items from any size of the OST data file. By using this software, user can easily migrate a number of emails, contacts, calendars and other items into any compatible featured output type. The mail converter software is capable to to convert the data items from multiple versions of MS Exchange database files. Also, the items of Exchange mailbox and public folder of the Exchange server would be possible to convert to supported file format. 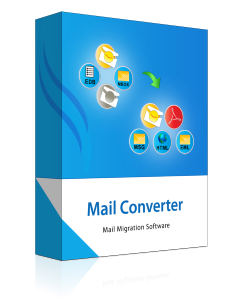 The email file converter provides one fantastic feature where users are free to convert the multiple emails from MBOX files on any platform such as: Apple Mail, Google Takeout, Mozila Thunderbird, Entourage, Turnpike, etc. Email Filters: Users can easily do their conversion process by filtering emails by date range. Emails can be excluded through following criteria: Ignore if older than” or “Ignore if newer than”. Calendar Filter: You can set a date to avoid the entries in case any older than or newer than date specify. Task Filter: Conversion of task items is also possible either older than or newer than a specified date. As the mail converter tool scans and loads the selected data files, it will display the entire items or folders in it. In addition, it facilitates to check the folders or the items which you wish to convert. Email converter software scans each and every file that is selected and loads the Original folder structure in its actual hierarchy. Also, after the complete email conversion the software maintains original and on-disk folder structure of the files. Support: Windows 7, Windows 8.1 & all below versions of Windows. Processor: 1 GHz processor(2.4 GHz is recommended). RAM: 512 MB of RAM (1GB is recommended). Disk Space: 50 MB of free disck space. Is the email converter software is platform dependent? Yes, the software is windows dependent application and it can very easily installed on different versions of windows operating system . Is it possible to recover corrupted data files? No, It won't help you to remove corruption issues and recover data from any file.it can only provide a you platform for the conversion of emails. I was very glad to share my experience while using email converter tool since this tool perform a wonderful job. It can very easily convert bundle of files without any hindrance. I feel mail converter tool is best utility for any type of email file format conversion. Thanks a lot for providing such a dynamic software. We had been looking for the best email conversion software for my organization. The Email converter tool easily executes the conversion of emails into different types of email file formats on a large scale. Thanks to Email Converter tool and its user adaptable interface, now employes of my organization can easily run the tool without any problem.